“Incredible” Coloring Night with the Family! We have constantly shifting schedules in our family – sometimes one kid is off doing school stuff and one is home, then one is with their dad and the other is at band practice, then we have a family obligation outside the house, or I have a meeting…as the kids get older, it’s harder to get a family night! When the stars align and everyone’s schedules allow, we make sure we have Family Night and we play video games, watch a movie (though agreeing on one is IMPOSSIBLE sometimes!) or do a craft project together. But I recently stumbled on something everybody in our family enjoys: COLORING. We have amassed a huge collection of art supplies, and really honestly? Any chance to break them out and spread glitter over more surfaces of our house is a huge bonus. You can have a coloring night at your house too! 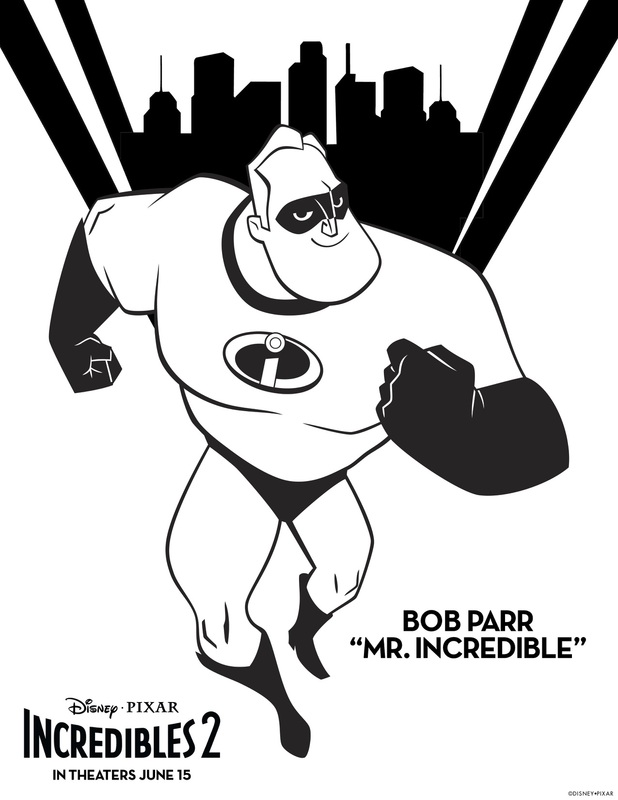 Coloring sheets (see below for some “INCREDIBLE” ones! ), printed on cardstock. When you print them on cardstock, you can use paints and thicker markers that would normally bleed through regular printer paper. Set out your supplies (and the tablecloth!) and go nuts. Have a competition! Have each member of your family color a different member of the Parr/Incredible family, and display them! It’s good clean (sort of, other than the marker and glitter) family fun! Make sure you mark your calendars for June 15th, when Incredibles 2 busts into theatres everywhere!